A New Jersey man pleaded guilty Wednesday to manslaughter in the death of his mother a mere two days after he completed a 30-year prison sentence for murdering a neighbor, the New York Post reports. Steven Pratt, 47, pleaded guilty to manslaughter charges in the killing of his mother, 64-year-old Gwendolyn Pratt, at their home in Atlantic City in October 2014. An autopsy revealed that Gwendolyn Pratt died from massive blunt-force head injuries. Steven Pratt reportedly acknowledged his guilt and said that he did not want to go through with a trial. When Steven Pratt was only 15, in 1984, he shot and killed his neighbor Michael Anderson in an apartment buiding. 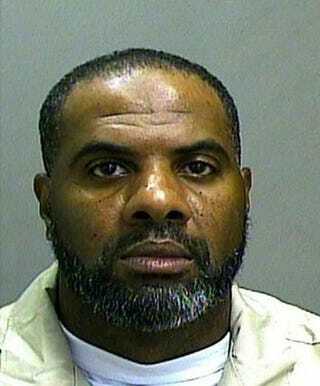 He was tried as an adult and convicted of the murder in 1986. The argument between Steven Pratt and Anderson, who Pratt said acted like a father to him, happened after Pratt and some of his friends refused to leave the apartment hallway where they were hanging out and making noise, the Post notes. An angry Pratt reportedly went back to Anderson's apartment with a lead pipe, but Anderson took the pipe away and bloodied up the then-teen's face. Pratt left and came back with a borrowed handgun, shooting Anderson in the face and shoulder. Anderson died days after the shooting. The now 47-year-old will have to serve 85 percent of a 25-year sentence before he is eligible for parole.